Is there an easier thing in the world than home made cranberry sauce? I mean, yes, opening a can is easier, but this recipe takes 20 minutes tops and tastes a million times better than whatever you get out of a can. Gorgeous, ruby-red cranberry sauce is perfect as is – you can certainly add all kinds of other things, but I think it’s best kept basic – sugar, water, cranberries. Cranberry sauce is one of my favourite things about any turkey dinner – I really just use turkey as a cranberry sauce delivery system – and I always make my own. I love the beautiful reds of the berries, and the deep, glowing ruby colour of the sauce itself. 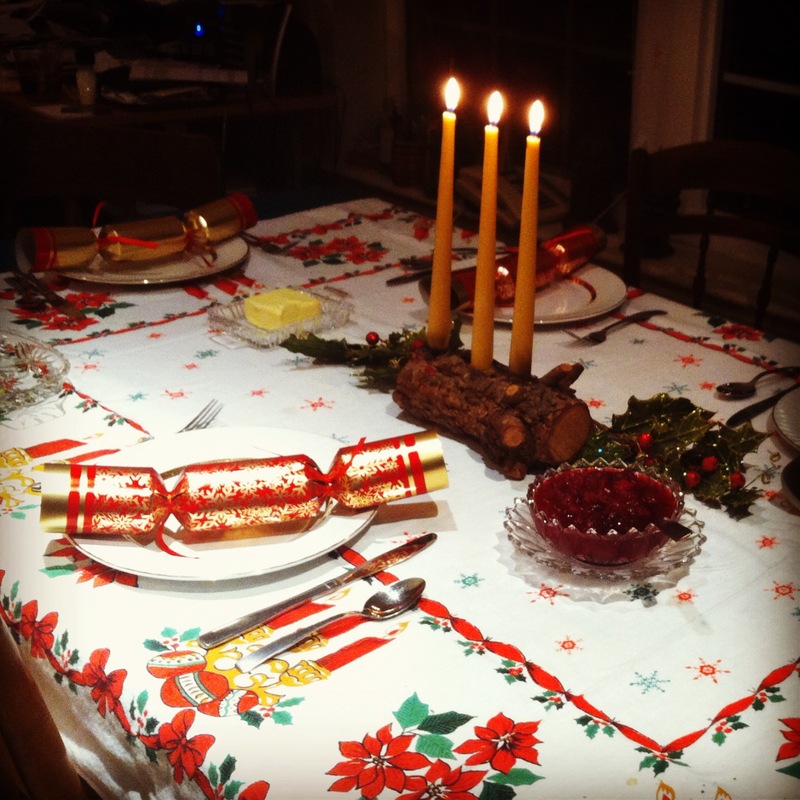 It’s one of the prettiest things on any Christmas table, and it’s also the easiest to prepare. If you’ve got leftover cranberry sauce after your turkey dinner, you can use it like jam on toast, pair it with a baked brie, or use it as a glaze on chicken or pork. 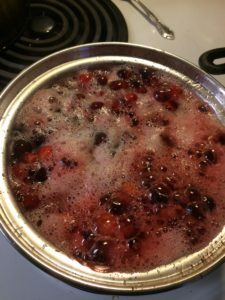 Add cranberries; return to a boil. Reduce heat and boil gently for 10 minutes, stirring occasionally. Cranberries will start to pop. 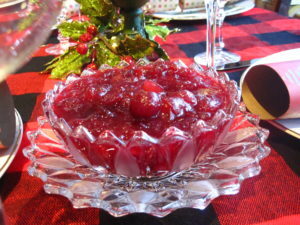 Cranberry sauce can be served immediately or stored in the refrigerator for a few weeks. Some of our other Christmas dinner traditions include my Nana’s yule log, a much-reduced version of the giant yule log that burnt in the hearths of Medieval people throughout the 12 days of Christmas, and of course, Christmas Crackers. We love reading the bad jokes out loud, and wearing the silly paper crowns for the rest of the evening!